Notre-Dame Cathedral fire: the most powerful pictures. "The heart in ashes": Images capture a city in grief, as the iconic Notre-Dame Cathedral burns. Sadly, Paris is no stranger to horror. But this was different. 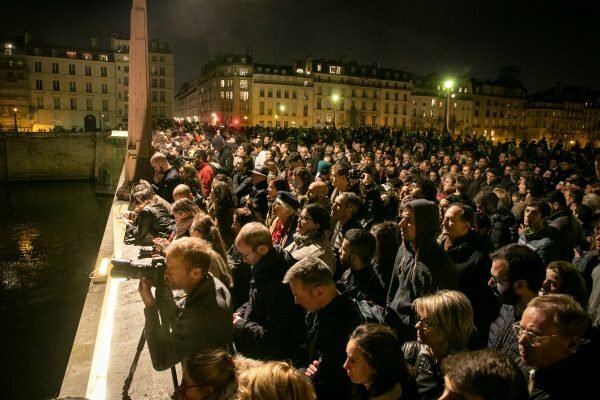 Rather than chaos and panic, Parisians watched on in mournful silence as their city’s latest tragedy unfolded. Notre-Dame Cathedral – their ‘lady’ – was swallowed by flames on Monday afternoon, local time, after a fire erupted in the building’s iconic spire. 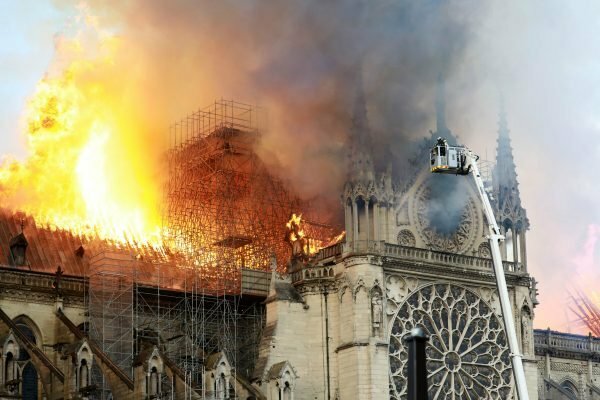 After several hours, firefighters managed to bring the blaze under control and save the main structure of the famous 12 century Gothic building, along with some of the treasured relics housed within. But despite their best efforts, the roof, spire and much of the interior were destroyed. 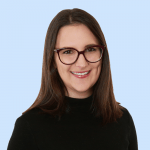 It’s yet to be determined what caused the fire, but a preliminary investigation has pointed to an accident, French officials said. Question have been raised as to whether six million Euro restoration work may have played a role. 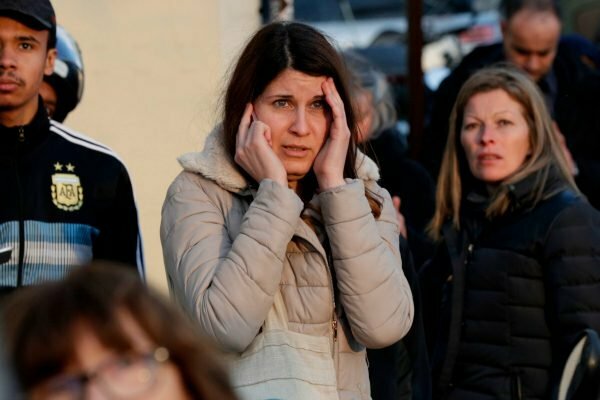 As news of the Notre-Dame fire ricocheted around the world, images captured by press and witnesses showed the shock on the faces of locals and tourists as the heart of the French icon began to crumble. 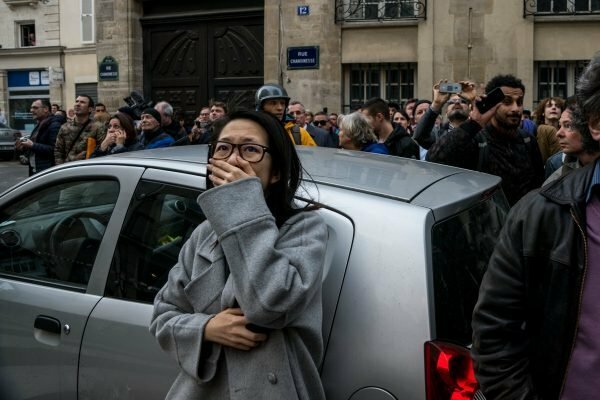 The streets immediately surrounding Notre-Dame were evacuated and cordoned off, as firefighters worked to contain the blaze. By nightfall, thousands had gathered to watch. According to witnesses, most stood silently. Others cried. 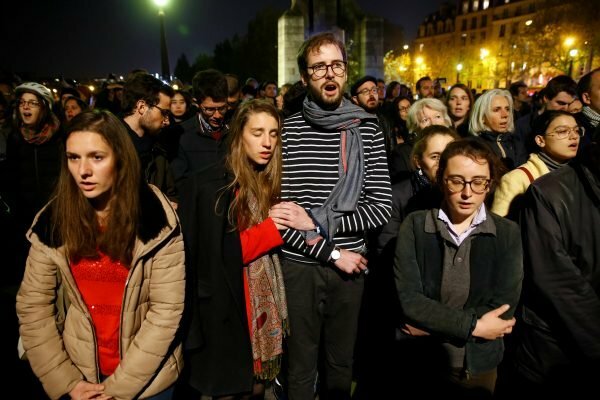 "It&apos;s part of this city, and Parisians are hurting." Crowds watched the fire in silence. Image: Getty. 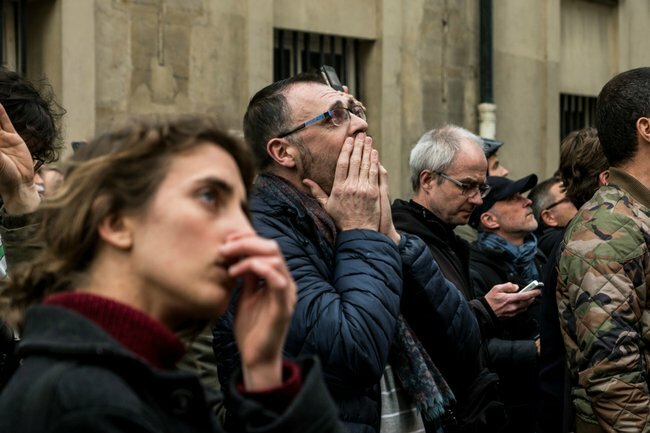 In a moving tribute, members of a crowd near Notre-Dame broke the silence with hymns. Footage posted to social media captures a chorus of witnesses, some kneeling and some clutching rosaries, singing Ave Maria, as the sky in front of them glows orange from the flames. Crowds gathered outside the cathedral sang Ave Maria. Image: Getty. Newspapers around the world scrambled to capture the tragedy on their front pages. 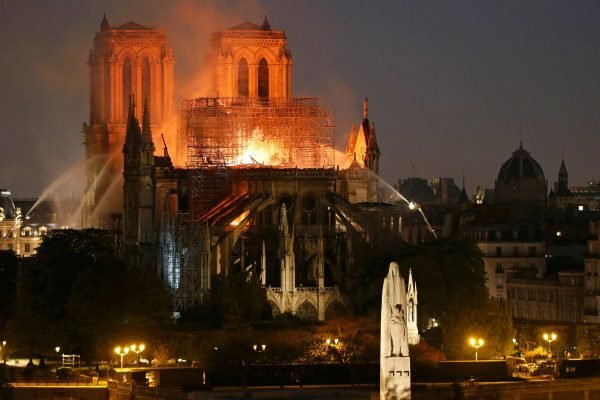 Some were simple, yet evocative: "Notre Dame in Flames: Nine centuries of history brought crashing down in 63 minutes", lamented The Independant. "Notre drame" (Our tragedy), read daily French paper, Libération. And this from La Croix: "Le coeur en cendres"... The heart in ashes. But to many, it&apos;s the images of Notre-Dame itself that sting the most. Having shaped the Paris skyline for nine centuries and survived two World Wars largely unscathed, it is more than just a building. It is their history. Their lady. A place of worship. Part of the soul of their city.